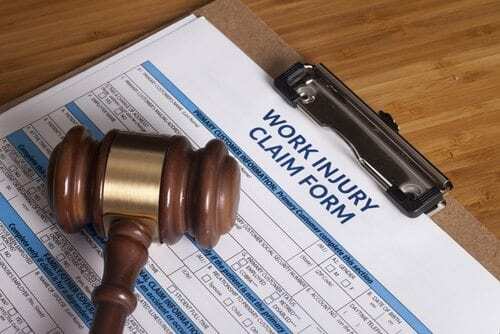 Workers’ compensation cases can be fairly straightforward, or they can be difficult. Others are just outright strange. Here are 5 of the oddest workers’ comp cases in 2014. The Workers’ Compensation Board in New York determined that a physician’s assistant was eligible for compensation for post-traumatic stress disorder induced by being threatened by a surgeon during an operation. Under New York law, a work-related injury is only compensable if the stress is greater than what is normally experienced in the work environment. A Pennsylvania appellate court reversed a decision not to compensate a woman who was attacked by her son with a knife while providing him with medical care under a state-funded program. The court ruled that the program required her to remain on the premises, therefore the injuries she sustained qualified for workers’ compensation benefits. A Wisconsin attorney sought workers’ comp benefits for injuries sustained in a motorcycle accident that occurred while he was attending a motorcycle rally. He claimed that he was drumming up business for the firm at the time the accident occurred, and the firm had him do the same on other occasions and even paid for snacks. However, the Wisconsin Labor & Industry Review Commission ruled that the attorney was not “working” at the time the accident occurred and was simply engaging in a social activity with friends with whom he sometimes did business. A Washington claims adjuster who traveled to Galveston Island after Hurricane Ike was involved in a dune buggy accident after becoming intoxicated. When he sought workers’ comp benefits, a Washington appellate court determined that although he was on a work-related trip, riding a dune buggy was purely for recreational purposes and did not qualify for benefits. An employee involved in a Nebraska robbery and shooting at work was awarded workers’ compensation for post-traumatic stress disorder related to the accident. In a surprising move, the Supreme Court of Nebraska also ruled that he was eligible for medical treatment benefits for a preexisting drug problem that allegedly worsened after the incident. Each state has its own laws and statutes in regards to workers’ compensation, and often, the final verdict will be completely unexpected. In order to ensure that your Louisiana workers’ comp case is handled with experience and expertise, contact the Wanko Law Firm for a consultation today by calling (985) 893-6530.